A best seller! 64" arc super size golf umbrella. Frame is all fiberglass with a wood grain finish, so it has strength of fiberglass but the elegance of a wood shaft. Comes with a wood handle and matching nylon sleeve. Lots of great colors to choose from! Great on the golf course, but Golf umbrellas aren?t just for golf anymore. 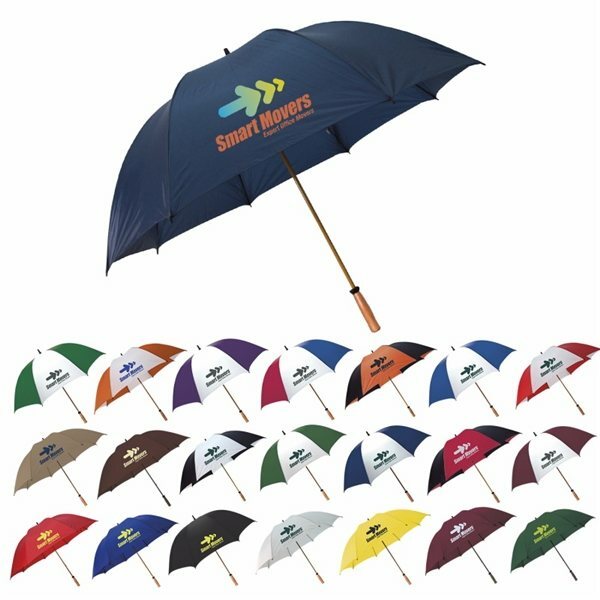 So many great uses for this large umbrella such as sporting events, car dealerships, fundraising and schools to name a few.